Transnet has reconvened ten-year talks with Botswana Railways to build a heavy haul railway line to link the two countries in Lephalale, Limpopo Province, the company announced on Thursday. The idea is over a decade old and seeks to unlock the potential of coal reserves, estimated to be as much as 212bn tons in Botswana. A meeting held between Botswana Railways chair Adolph Hirschfeld and Transnet chair Popo Molefe, on the sidelines of the Mining Indaba in Cape Town, breathed new life into the project’s execution. 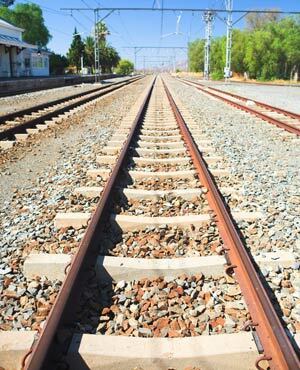 In a statement, Transnet said railway expansion programmes linked to the construction of the Botswana rail network are at an execution stage. "This particular programme, which is in construction phase, is a step towards unlocking both Waterberg and Botswana coal. The Botswana coal reserves are estimated at 212bn tons," said the statement. The statement said others are at advanced planning stages, including the upgrade of the existing railway line from Lephalale to Pyramid South in Pretoria. "Other projects in support of this programme include the upgrade of the electrical infrastructure on the coal heavy haul system and the construction of the second tunnel at Overvaal in Mpumalanga, among others," the statement said. The statement said the two entities signed a memorandum of understanding that will see up to 80m tons of coal per annum transported from Botswana. SA and Botswana will now assemble a joint steering committee and a project team to start the project.